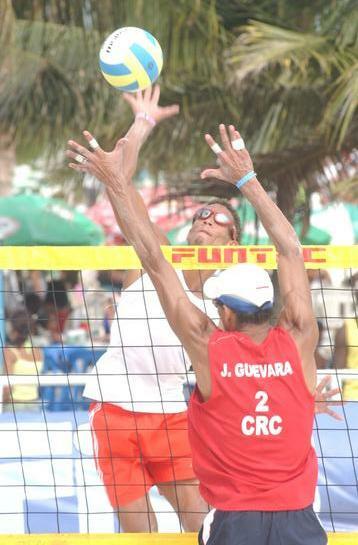 SANTO DOMINGO, Dominican Republic, April 8, 2007.- American men�s pair of Scott Wong and Hans Stolfus won the gold medal of the Boca Chica Tournament, the first leg of the 2007 NORCECA Beach Volleyball Circuit, with a 21-19, 21-10 victory over Marcelo Araya and Jonathan Guevara of Costa Rica. Cuban Yunieski Ramirez and Yoendris Kindel�n won the bronze medal in defeating Jorge Bolanos and Jose Gonzalez of Guatemala by 21-9, 21-14. 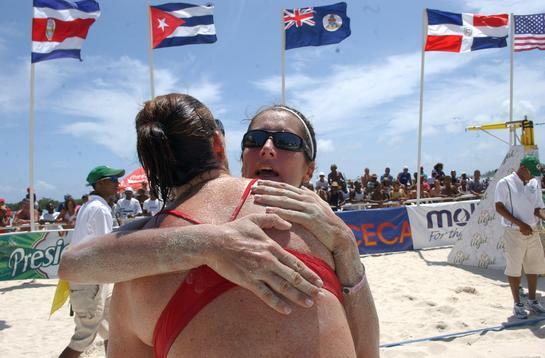 SANTO DOMINGO , Dominican Republic , April 8, 2007.- Americans Paula Roca and Alicia Polzin won the women�s gold medal of the Boca Chica Beach Tournament after a tough battle with Canadians Annie Martin and Dana Cooke. Roca and Polzin prevailed 21-16, 20-22, 15-8, while Cubans Ion Canet and Kirenia Ballar also needed three sets to win the bronze medal with a 19-21, 21-16, 15-8 victory over Ingrid Morales and Natalia Alfaro of Costa Rica. 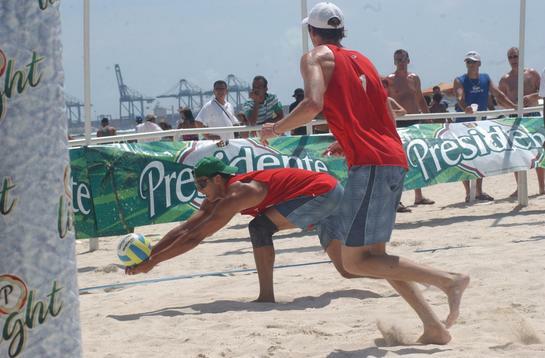 SANTO DOMINGO , Dominican Republic , April 7, 2007.- Hans Stolfus and Scott Wong of USA advanced to the men�s quarter finals of the Boca Chica Beach Volleyball Tournament as winners of Pool A with an easy victory 21-15, 21-13 over Yewddys Perez and Juan Pozo of Dominican Republic I.
SANTO DOMINGO , Dominican Republic , April 7, 2007.- USA , Costa Rica , Canada and Cuba placed their women teams in the semi finals of the Boca Chica Beach Volleyball Tournament, the first stop of the 2007 NORCECA Circuit, with each pair being successful in two outings on Saturday. 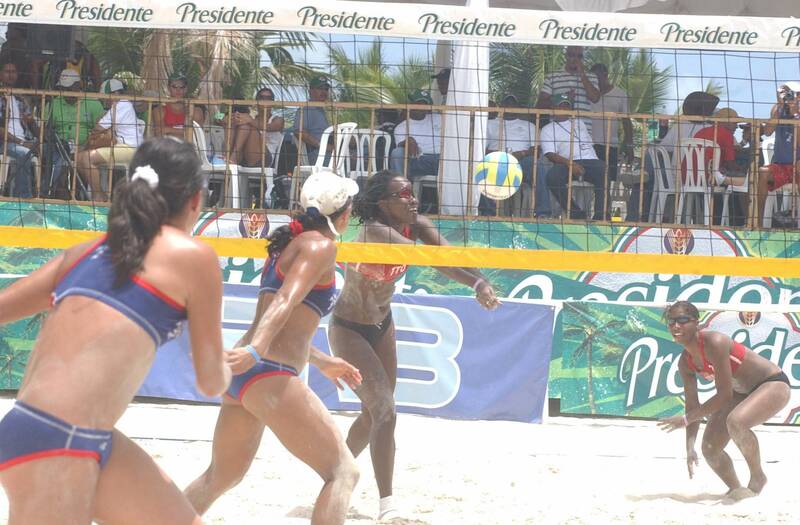 On Sunday, USA meets Costa Rica while Canada plays against Cuba in the final day of the event sponsored by Presidente Light beer. 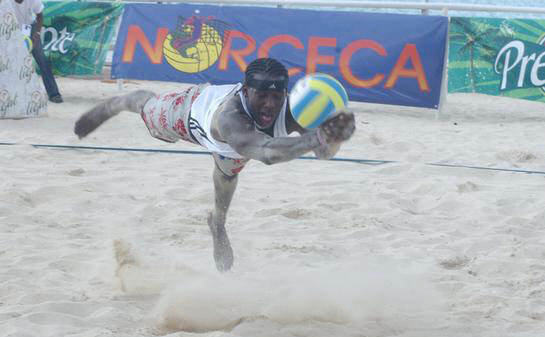 SANTO DOMINGO, Dominican Republic, April 6, 2007.- The men�s teams of Costa Rica, Guatemala and Puerto Rico II secured places in the second round of the Boca Chica Beach Volleyball Tournament, the first leg of the 2007 NORCECA Circuit, an inaugural five-stop tour in both genders. 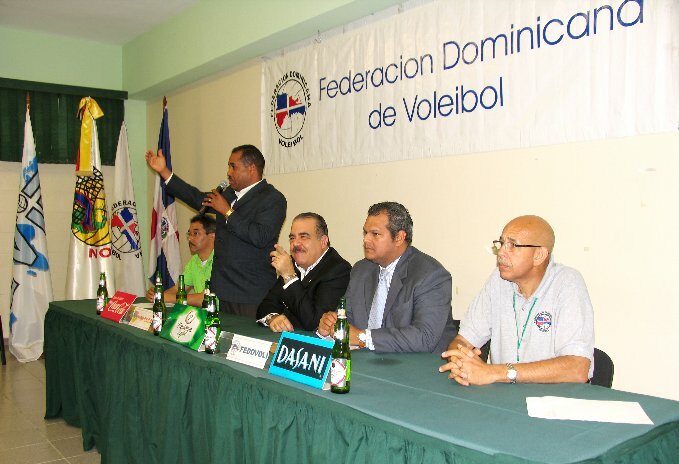 SANTO DOMINGO, Dominican Republic, April 3, 2007.- Teams from eleven countries in both genders will participate in the first leg of the five-stop 2007 Norceca Beach Volleyball Circuit to be held on the sands of Boca Chica, outside of the Dominican capital next weekend. Canada, Cayman Islands, Costa Rica, Cuba, Dominican Republic, El Salvador, Guatemala, Puerto Rico, Saint Kitts & Nevis, Trinidad & Tobago and United States of America have registered their representatives for the event sponsored by Presidente Light Beer.